The aim of this paper is to investigate in a systematic and comparative way previous results of independent studies on the treatment of genes and gene function in high school textbooks from six different countries. We analyze how the conceptual variation within the scientific domain of Genetics regarding gene function models and gene concepts is transformed via the didactic transposition into school science textbooks. The results indicate that a common textbook discourse on genes and their function exist in textbooks from the different countries. The structure of science as represented by conceptual variation and the use of multiple models was present in all the textbooks. 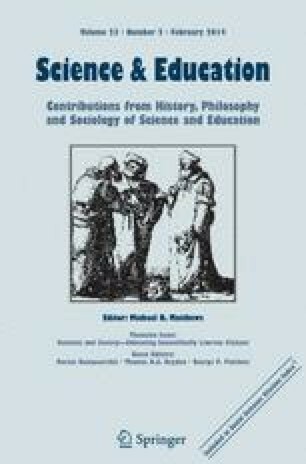 However, the existence of conceptual variation and multiple models is implicit in these textbooks, i.e., the phenomenon of conceptual variation and multiple models are not addressed explicitly, nor its consequences and, thus, it ends up introducing conceptual incoherence about the gene concept and its function within the textbooks. We conclude that within the found textbook-discourse ontological aspects of the academic disciplines of genetics and molecular biology were retained, but without their epistemological underpinnings; these are lost in the didactic transposition. These results are of interest since students might have problems reconstructing the correct scientific understanding from the transformed school science knowledge as depicted within the high school textbooks. Implications for textbook writing as well as teaching are discussed in the paper. American Association for the Advancement of Science. (2011). AAAS Project 2061 high school biology textbooks evaluation. Retrieved October 23, 2011, from: http://www.project2061.org/publications/textbook/hsbio/summary/default.htm. Bosch, M., Chevallard, Y., & Gascón, J. (2005). Science or magic? The use of models and theories in didactics of mathematics. Paper presented at the 4th congress of ERME, the European Society for Research in Mathematics Education. Sant Feliu de Guíxols, Spain. Retrieved October 14, 2011 from: http://cerme4.crm.es/Papers%20definitius/11/Bosch%20Chevall.pdf. Chevallard, Y. (1989). On didactic transposition theory: Some introductory notes. Paper presented at the International symposium on selected domains of research and development in mathematics education, Proceedings (pp. 51–62). Bratislava, Slovakia. Retrieved October 29, 2011 from: http://yves.chevallard.free.fr/spip/spip/article.php3?id_article=122. Meyer, L. M. N., Bomfim, G. C., & El-Hani, C. N. (2011). How to understand the gene in the twenty first century. Science & Education. doi: 10.1007/s11191-011-9390-z. The Swedish National Agency for Education (2011). Steering documents: Programme objectives: The aims, the structure and nature of the Natural Science Programme for upper secondary school in Sweden. Retrieved October 19, 2011, from: http://www3.skolverket.se/ki03/front.aspx?sprak=ENandar=0809andinfotyp=15andskolform=21andid=14andextraId=0.